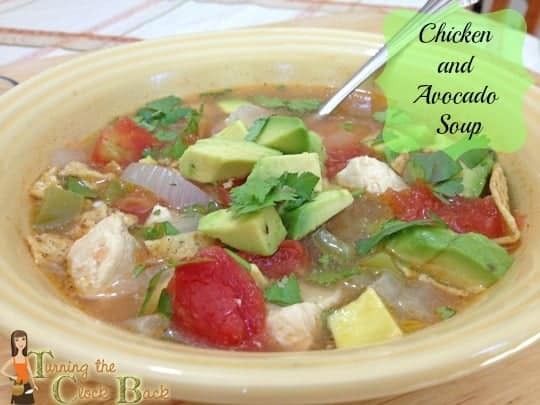 This chicken and avocado soup recipe is sponsored by Avocados from Mexico and The Motherhood but all opinions expressed are my own. Have you ever gotten together with friends for a pot lock meal and been awed by someone else’s creation? Sometimes, I am amazed at the different types of recipes that people can come up with when given the same ingredients. One person may see peanut butter as a dessert ingredient while another might see it as part of a spicy dip for chicken. The possibilities are endless when it comes to creating new recipes out of a few basic foods. I was recently asked to get together with a few other Atlanta bloggers to see what we could create with avocados. And not just any avocados, either. 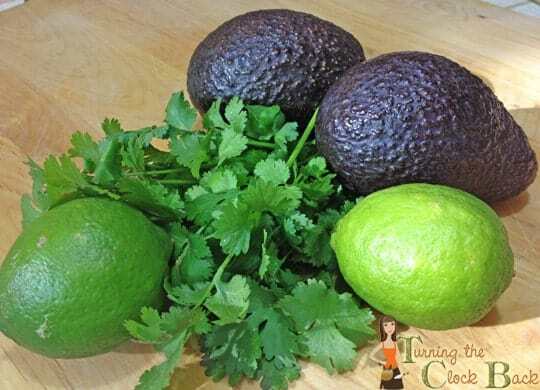 Our food blogger mission was to create a cool recipe using Avocados from Mexico and then share the recipes with each other and with our readers. Avocados are extremely versatile. They can be eaten alone or used in many different types of tasty recipes. Fresh avocados go great on sandwiches, toast or even as a substitute for higher calorie spreads to reduce your intake of calories fat, sodium and cholesterol. Avocados contain what is called ‘good fats’….the monounsaturated and polyunsaturated fast that we are supposed to be eating. One ounce (3 slices) of an avocado has only 50 calories but contributes almost 20 different vitamins and miners to your diet. They have a wonderful flavor and an incredibly creamy texture which I absolutely love! Avocados are really easy to prepare. You want to find one that is dark in color and firm but gives slightly when you press gently on it. Hold the avocado in the palm of your hand and gently slice all the way around the middle with a large knife. There will be a large pit in the middle so don’t try cutting all the way through! When the cut is made all the way around, twist the two halves in opposite directions and they will pop right apart! On one side you will see the large pit…use your knife to remove it. I sortof chop the sharp end of the knife right into the pit and then turn. It will come out easily! 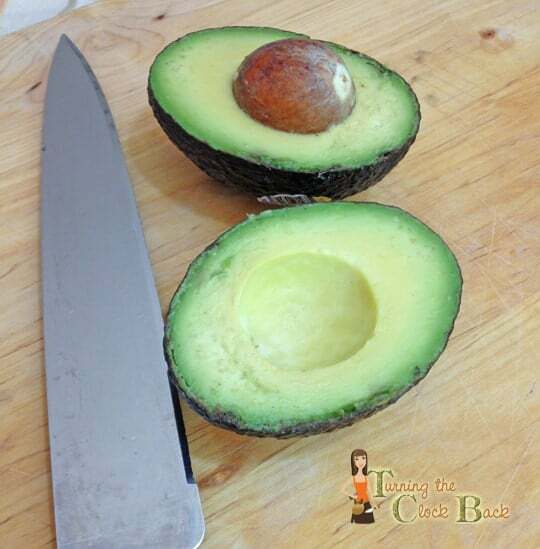 Scoop the soft center out of the avocado with a large spoon and then dice. Very easy! For my recipe, I chose to combine a few of my favorite flavors from some classic Mexican dishes. I made this as a ‘top your own’ soup recipe to give my kids a chance to get creative and have some control over their meal. Top your own dishes are always a big hit in my house! I used fresh cilantro, chopped avocado, crushed tortilla chips and spoonfuls of fresh lime juice to create the finished product. To serve, spoon into bowls and top with crushed tortilla chips, cilantro, chopped avocado and 2 TBSP (or to taste) fresh lime juice. For our #AmazingAvoCinco recipe swap, I got together with some other great Atlanta area bloggers via a Google hangout. It was a fun way to show off what we made without the stress of a drive, traffic, scheduling, etc. 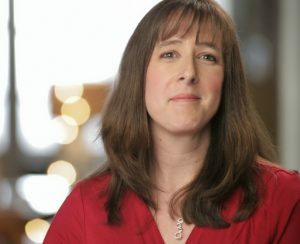 Who joined the recipe swap with me and what did they make? Here are a few of their creations…head over to their blogs to get the recipes! Are you an fan of Avocados from Mexico? If you like avocados as much as I do, here are a few fun contests from Avocados from Mexico that you may want to enter! Avocados from Mexico are available year round and right now they are having a Pinterest Contest! From Tuesday, April 16th to Friday May 3rd you can enter the “Most Amazing Cinco Fiesta” Pinterest contest. All you have to do is create a “Most Amazing Cinco Fiesta” Pinterest board to highlight all the key elements that you think are needed to make a perfect Cinco de Mayo celebration. The grand prize winner for the best board will receive a $500 gift card, while two weekly winners receiver a $50 gift card and some authentic molcajete. From April 26th through May 5th Avocados from Mexico has a quiz you can take on their Facebook page. It is a quirky and interactive way to identify with the Amazing Avocado. How? The quiz links your unique personality traits to avocado based recipes with similar characteristics! Possible avocado personalities include Rocker Guac-er, Classically Cool, Sweetheart Style, and Globe Trotter. Which one do you think you are? Take the Avocados from Mexico Facebook Quiz and find out! Avocados from Mexico would like to give one of my readers a $100 Visa gift card! That is a LOT of avocados you can buy! This is a Giveaway Tools contest so just follow the directions in the form below to enter! Disclaimer: I was compensated for providing you with this information as part of a campaign through The Motherhood and Avocados from Mexico. All opinions expressed here are my own. Avacado in chicken tacos. Plain and simple. I love avocado in cobb salad. My favorite avocado recipe is my jalepeno guacamole. I love to just eat avocados plain. I had them for the first time this past fall when my daughter was starting to eat solid foods (we read a book that said Avocado is a super food for babies) and I was surprised to find out how much I loved them too! I also like to put them in my tacos... but plalin as a snack is by far my favorite! We make a great guacamole at home with salsa and lime juice and avacados. The soup recipe looks good to me! They all look and sound great but I love guacamole!!! My favorite is definitely guacamole-love to put it on everything!! I like them in my California turkey club sandwich. Guacamole! Cant' say I'm too creative with that one. I love eating avocados on turkey sandwiches. We really only eat avacados in guacamole! I've only had it guacamole...which I love. I'd also like to try it on a hamburger. Thanks! I absolutely love guacamole! it's great! Avocado dip I put it on everything! My favorite is guacamole with plenty of hot peppers in it! I love making taco salads with lots of avocado! my husband makes great homemade guacamole!!! I love guacamole with my deviled eggs. i put an avocado in my smoothies before. yum. Homemade Guacamole, especially in the summer after the tomatoes come out of my garden. There's a salad I make that has avocado in it. My family has this salsa recipe that's amazing with avocados! I just recently tried Guacamole dip for the first time and love it! This is my favorite. Thanks so much. I haven't ventured out very far, but I love guacamole all the time. 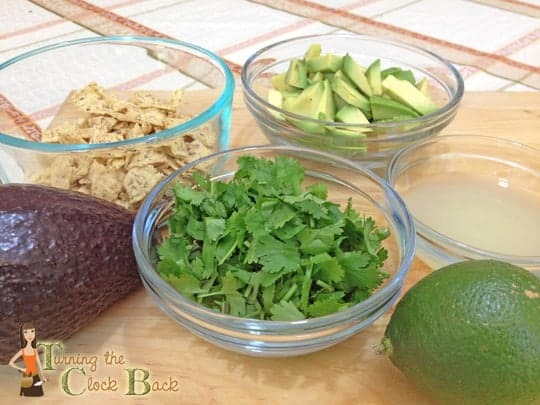 My favorite avocado recipe is just using them on quesadillas or on turkey hummus wraps! I don't have a recipe, but I like avocado on tacos, grilled burgers and in salads. I live in Texas, so a good guacamole dip is always in order! I like to drizzle it with olive oil and balsamic vinegar and scoop it right out of the skin. I have only ever eaten avocados as guacamole. so of course that is my favorite. I never thought of leaning any other recipes. Guess I will. The ice pops look good! My favorite is a basic guacamole. my fav recipe is avocado with cobb salad! Guacamole has got to be my all-time favorite, but a close second would be deviled eggs with avacado and that soup recipe looks delish!!! Thanks! We love chilled Avocado Soup! The one we make is from my Mary Hart cookbook and is so easy! Its just 3 avocados, 1 1/2 c chicken broth, 1 1/2 cup light cream, 1 1/2 teaspoon salt, 1/4 teaspoon onion salt, 1/8 teaspoon white pepper, and 2 teaspoons lemon juice! Puree avocados with chicken broth and then mix in cream and seasonings! You should chill for at least two hours….we sometimes make the night before for our family get togethers! Add the lemon juice just before serving! It tastes so good during the summer!!!! ALT (similar to BLT) sandwiches. Just a basic guacamole - with jalapeno! Homemade guac is a favorite for us. I also make a shrimp Mexican soup with avocados in it. I like to make an avocado sauce to go over salmon. It's easy, just avocados smashed, lime juice, spices and green onions. Guacamole would be our favorite. I love to make raw chocolate pudding out of ripe avocados. So delicious! I like egg salad and avocado wraps. I like chopped avocados on my salads, any salad really. I love guacamole, avacado's on my sandwiches and in my salads. I have only ever tried guacamole. I like making avocado smoothie. I love eating avocados plain, sliced up and eaten with my fingers. ;) Delicious! I also love them in guacamole - my mom makes a great recipe with mashed avocado, minced onion, a bit of minced garlic (I omit that because I don't like the strong taste), and seasoned with olive oil and amino acids. It's delicious. I don't have a favorite avocado receipe. My husband cooks with it and I like it in most things though. Cilantro lime avocado dip is one of our favorites. My favorite avocado recipe is to just mash avocado and add some of my favorite salsa (it's kind of like a fake guacamole). I also like to mash avocado on a piece of buttered toast and sprinkle with salt & pepper. I guess you could say that avocado doesn't need much help--it's good all by itself. and, I love simplicity! Thanks for the giveaway. I just love slicing up fresh Avocados into fresh salad mix, sprinkling with lemon pepper, and eating it. 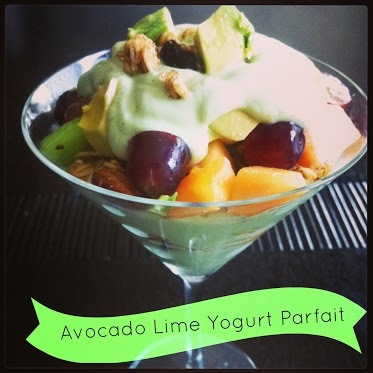 I don't have a favorite, but I like the Avocado Lime Yogurt Parfait recipe that you have at the top. We like to make a sandwich with sourdough bread, avocado slices, apple slices, sprouts, swiss cheese, and mayo. We make a spread for our wrap sandwiches mash with tomatoes, onions, and a little mayo salt and pepper we spread it on and we like it! The only time I use avocados is in a seven layer dip. Avocado dip by far is my favorite! I love making turkey jalapeno burgers with guacamole !!! We use avocados in a lot of different ways! We eat them plain with salt and pepper, and throw them in seven-layer dips, salads, guacamole, tacos... the list goes on and on! In guacamole on my mexican meals. Either guacamole or avocado butter. The only way I've ever had them is as guacamole. Thank you! I love homemade guacamole. My husband and my adult son both make amazing guac. My tummy is grumbling just thinking about it! We love making homemade guacamole. Oooh, I need to try that avocado lime parfait. Jalapeno Roll ups - I add avocados to mine. Thank you. guacamole or tacos with avocados are my favorite! I like to put avocado on turkey sandwiches. Avocado on sliced turkey sandwiches! 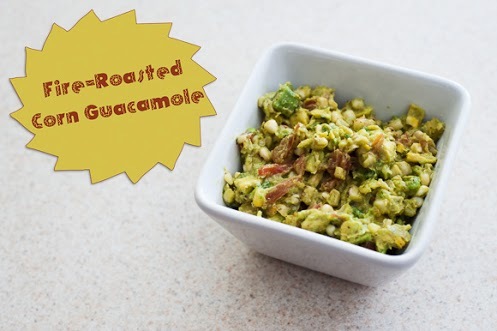 Guacamole with chipotle peppers and garlic! I love guacamole but my husband will eat them plain with a bit of brown sugar :) He of course gains no weight at all doing this... Grrr! For me, it's plain guacamole. Of course, I might add a jalapeno in it. guacamole is my favorite, but I love avacados in my bean soup or in a sandwich with tomato, yum! My favorite is also guacamole. Thanks for the chance to win!! I make a tunasteak and avocado salad with lime and wasabi dressing.. it's delicious. Avocado with olive oil and balsamic drizzled over it and then thrown on a turkey sandwich! I could eat guacamole with spicy pico de gallo all day long. I love to make fish tacos garnished generously with avocados and lime! My favorite is avocado margaritas. crawfish pasta salad in avocado base! I like sliced avocados on a BLT. A slice of avocado on a hamburger. I don't have a recipe but I love it on any sandwich. avacado, lettuce and tomato sandwich. My favorite is guacamole but I also love grilled steak with avocado slices and grilled onions. I'll start by noting that there are very few foods that wouldn't benefit from several slices or avocado or a large dollop of Guacamole on top! One of my favorite refreshing salad is just cut up citrus fruits tossed with avocado wedges and fresh lemon juices. It's good with minced green or purple/red onion too - and a sweet balsamic vinegar reduction with olive oil. YUM! I love guacamole! Thanks for the awesome giveaway! I love to make fresh guacamole sauce with cilantro, onion and tomatoes. We put it on burgers, taco and as a dip with chips. Sometimes I'll put some in chili. I love burgers with avocado! I have never had avocado my parents did not like it and until recently my local supermarket didnt carry them and when out of town never thought about picking one up but I am going to try them soon. I enjoy making Spicy Avocado Chicken with a Chili Lime sauce. Great combo of flavors! I like guacamole on beef & been burritos. Truthfully, guacamole is my favorite and I love avocado on sandwiches and with eggs. Guacamole. I could live on it, I love it so much. I like avocados sliced up in chicken fajitas. Definitely guacamole...especially when used in fajitas! I just like avocados in an omelet. Thanks for the contest. Those popsicles look really good. I like the guacamole dip. Thanks. Thanks for the giveaway…we love scrambled eggs with chunks of avocado added just as the eggs "set". I have never tried an avocado so no favorite recipe but I have heard it is good on a salad.